Are you doing it wrong? Are you going down the bank mindlessly casting an A-rig? Winter is when the fine details of A-rig fishing become critical. Its time to focus on modifying your rigs to reach new depths and catch fish you can't target any other way. This isn't the same old A-rig info, its time to do things differently. 7 years ago the Alabama Rig hit the scene and shocked the tournament world. Anglers thought it was the end of the world and fishing would never be the same. While that has already proven itself to be ridiculous, the A-rig remains an incredible tool for Winter bass fishing. When the reaction bite dies and you've resigned yourself to finesse fishing, there is still a shot that the A-rig will work. It works long after most other reaction offerings have lost their effectiveness. 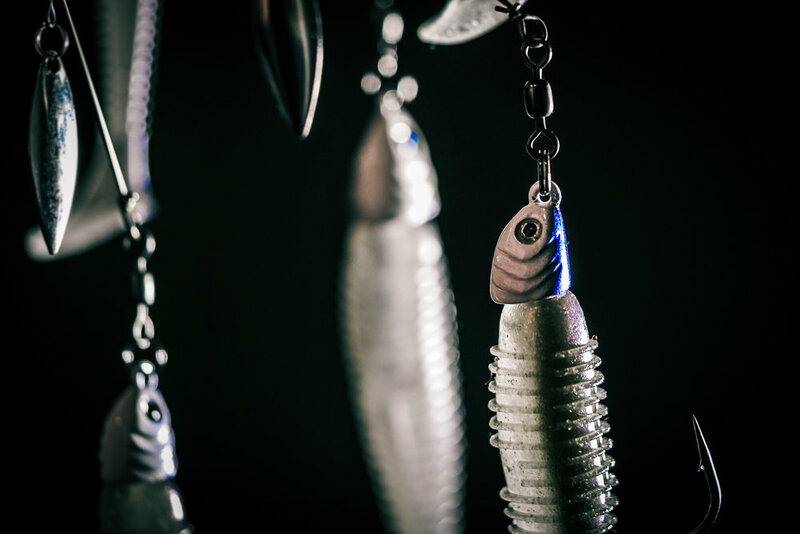 Don't be afraid to pick up an A-rig this Winter, make a few adaptions for the cold water conditions, and start slinging! Below is a breakdown of the rigs, baits, gear, and storage options of the A-rig.